We hope to make the process as easy as as possible for all of our participants. Please never hesitate to reach out to us if you have any questions a long the way. Registration opens Friday, March 1st, 2019. It is our hope that you are able to take care of registration early so you are able to enjoy all of the excitement of your senior year with this checked off your list. Check the email you provided during registration for additional information about the process. 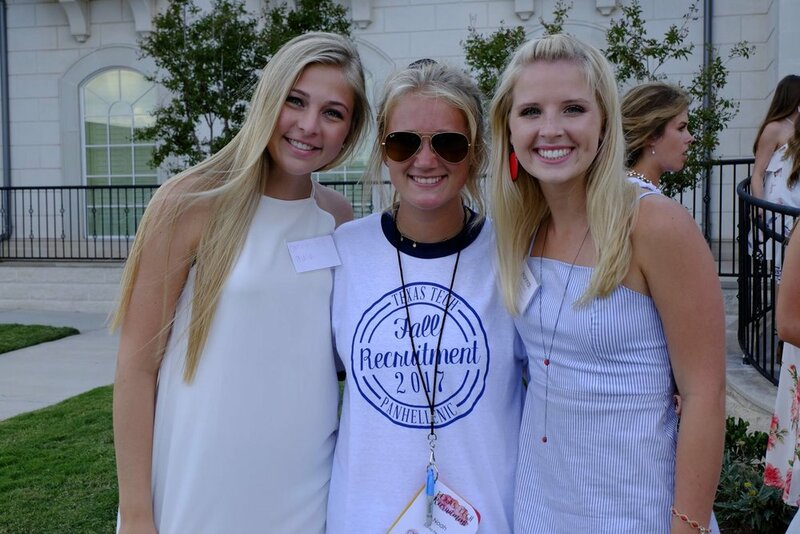 Follow Texas Tech Panhellenic on social media to receive updates throughout the summer. Research Local Area Alumnae Panhellenic groups that provide information sessions about sorority recruitment. Determine if you want to seek out Recommendations/Reference Letters for the sororities on our campus. Texas Tech Panhellenic will only be collecting electronic copies of transcripts which are required for registration. There is no need to mail any hard copies of any kind to Texas Tech Panhellenic.